You baby is the most precious thing in your life and keeping him safe should be your number one priority. Choosing the right car seat is an essential part to his safety, but this can be a difficult decision. Which is best for you? Car seats are one of the most important things to have ready when your baby is born, as hospitals won't let you take your baby home if you don't have one. 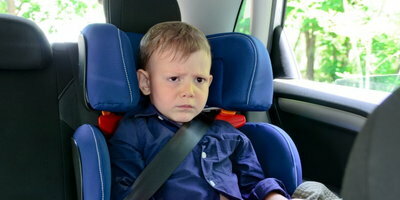 This is why Auto Credit Express is helping you make the important choice of which car seat is best for your situation. We highly suggest buying a new car seat as opposed to a used one because just as buying a used car from a private seller has great risks; so does buying a car seat from a friend or family member. We know that shopping for your unborn baby is very exciting, and there are so many things you want to purchase, but you have to be careful about how much you spend on each item. Picking out the best car seat for your infant is a big decision. If you are going to splurge on one item for your baby – it should be car seat, as it is the one thing that could save your childs life. The main difference is the weight and height difference between the three. For instance, an infant seat is generally – depending on the model – for babies 5lbs-25lbs and up to 30 inches tall. A convertible car seat is made for newborns up to toddlers, and is safe for babies up to 40lbs (or more depending on the model) with a height of about 50 inches. A booster seat is for your child when they outgrow their convertible seat, and it is designed for children between 4 and 8 years old, and for up to 4 feet 9 inches tall. As we've already stated these infant car seats are for newborns through about the first year of the child's life, and are rear-facing in the car. While convertible car seats also fit newborns, it's recommended – as easier – to use an infant seat first. This is because these seats are well-padded and provide the support and protection needed for newborns specifically. Most all of the infant car seats come with a base that fits perfectly into the car. The base stays attached to your vehicle by either the lower anchors of the LATCH (Lower anchors and Tethers for Children) system or by the seat belt. Once you secure your baby in the car seat with the 5-point harness you can attach and unlatch the infant seat as needed without waking or disturbing the baby in any way. The downfall to these seats is the fact that your baby will only be in it for a year, so you will need to replace it soon with a convertible car seat. These seats can be expensive, and therefore, some people see a better financial opportunity to start with a convertible seat. The convertible car seat is chosen by a lot of parents that are budget conscious and want the most bang for their buck while keeping their baby safe. They are given the name 'convertible' because they convert from a rear-facing seat to a forward-facing seat once your child outgrows the rear-facing height and weight limits. These seats are great for babies that are over a year old and have outgrown their infant seat, but when using it with an infant the child can seem 'lost' in the seat. Many parents have reported that they have had to use rolled up baby towels, head rests, or other props to keep their baby's heads in place until he or she grows a little more. These seats are also much less convenient. Convertible car seats do not come with a base like an infant seat does. Instead you must secure the entire car seat to your vehicle using either the seat belt or the LATCH system which means you must wake the sleeping baby to move them to a stroller or any other carrying method. On the other hand, a convertible car seat provides great protection and comfort with the energy-absorbing padding and fabric that protects your baby's head and chest in case of an accident. These seats are also easily washable with removable seat covers, and provide the utmost safety with the tether and lower anchors of the LATCH system. Most experts suggest using a high-back chair with the harness for as long as possible will keep your child secured more effectively in the seat than a traditional seat belt. 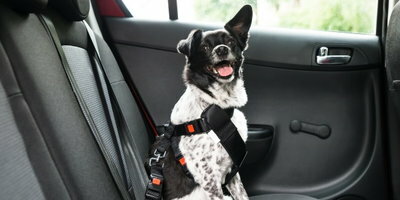 If your seats are deeply contoured, a backless booster may fit better on your seat. All kids are required to be in some sort of child safety seat until they are either 8 years old and at least 4 feet 9 inches, and it's imperative that you find the safest way for them to travel. Whether you decide to go with the ease of an infant seat or the convenience of the convertible car seat each child will end in a booster seat. Each and every new car seat that is manufactured has certain government safety regulations that it must meet and is safe for your baby to use; you just need to find one that fits with your vehicle and your life-style. If your current vehicle is an older car that doesn't have the lower anchors to secure the car seat, you may want to think about purchasing a new or used car at your local car dealership. 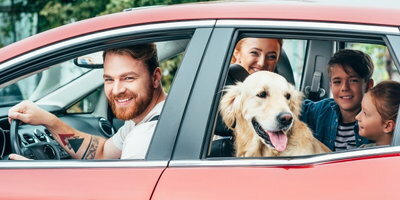 Here at Auto Credit Express, we can help you find the nearest dealer that will work with you and help you find the safest vehicle for your bundle of joy that will soon be gracing your family. 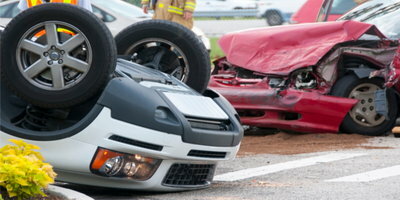 Even if you have bad or terrible credit scores, you can drive away in a car today!